An enormous market comprising nearly 72 million people, Turkey is an EU candidate member. The country’s entrepreneurial culture has created an economy boasting a diverse industrial sector and strong domestic players. For investors, this means access to a broad and mature eco-system of suppliers. The sectors of the Turkish economy that have been particularly attractive to foreign investors are: the automotive industry, chemicals and pharmaceuticals, information and communication technologies (ICT), electronics and manufacturing of electrical equipment, machine manufacturing and metal working. Turkey’s highly advantageous geographic location – situated between Europe and Asia, and enjoying easy access to the Black Sea, the Mediterranean region, the Middle East and the Balkans – and well-developed infrastructure make it a particularly desirable location for logistics companies. 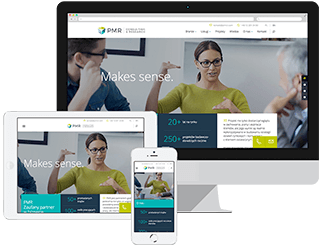 PMR Consulting competencies in the Turkish market include market and industry analysis, providing an overview of the market structure and major demand stimulators, major market players, pricing strategies and tariffs. Importantly, it includes an analysis of your likelihood of successfully fulfilling your objectives. In addition, we carry out consulting projects which aim in improving the structure of the cost base and optimising organization by spinning off non-core and non-value-adding activities, thereby enabling you to focus on those areas of the business that generate most value. Apart from that we provide financial and investment activities support. Depending on your situation and objectives, we can support you in your attempts to acquire local companies or help you secure the strategic or financial investment your business needs to take the next step.